Quality Sarongs started from quality rayon fabric ! There're various quality of rayon fabric or textile. Price also vary according to rayon construction and conditions (finish or unfinished/half finish). We use 1st grade and 2nd grade rayon with finish condition, clean white look. 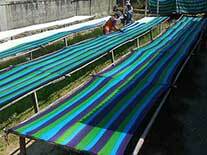 They're produce by big textile factory and distributed to many textile shop. Our company CV MAYA buy direct to the factory and keep stock of white rayon textile in large number. Therefore we enjoy discounted price. 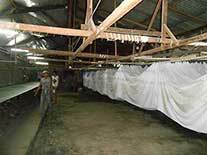 Compare to other sarongs exporter who buy rayon textile from local distributor. Vibrant Color from Quality Dyes and Clean Water You can tell the different between quality batik sarongs with bad batik sarongs from the color of the batik sarong. Our batik sarong has vibrant color, due to quality dyes. We use only quality dyes for our batik sarongs. Other than quality dyes, the vibrant colors of our batik sarongs also comes from the quality of the water use when soaking the rayon fabric and textile. Clean water make vibrant color batik sarongs. Colors Stays the Same ! Our batik sarongs will not change color drastically. Dyes will not running when soaked in water or at least it is only minor. Western Size Batik Sarongs. 115 to 120cm x180cm or 46x72inch Buyer be ware ! We've been selling batik sarongs for years. There're now many people selling cheap poor batik sarongs this is due to bad quality and the fabric is cut short. When comparing our batik sarongs price with price from other batik sarongs company. Please keep in mind that we sell batik sarongs made to fit western size. Quality Control When placing a large order for batik sarongs, buyer often found many rejected batik sarongs inserted into their sarongs shipment. This horror story will not happened when buying batik sarongs from us. We check each sarongs, one by one. No matter how many sarongs we have to check. It's time consuming process but in the end we will be proud with our works. Buy from real company, verified and approved by our government Our company CV MAYA (Tax id: 02.612.185.5-903.000) is a company verified and registered company to Indonesian government through National Agency for Export Development (NAFED), a special service agency of the Ministry of Trade of Indonesia. We've been selling online since 2001. After years of experience, we made a catalog of bali pearl shell jewelry which always included in our buyers order list. No matter where or when. These items sell good. If you're a new seller for this kind of fashion accessories and jewelry. Don't be confused. Buy these bali pearl shell jewelry. View catalog of best seller beads jewelry by clicking Bali pearl shell jewelry with beads photos below. Bali pearl shell jewelry with beads best seller catalog. Sea shell jewelry, fashion accessories and costume jewelry made in Indonesia. There're many, start browsing our complete collection by clicking photo below. Click and browse our full catalog of beads necklaces with pearl shell pendant. Other than beaded necklaces with MOP shell, there're also cowry shells necklaces (cowrie shell jewelry), bone necklaces from Bali (Bali bone jewelry, capis shells necklaces, abalone shell necklaces (abalone known also as paua or pawa in New Zealand), full beads necklaces and many more. 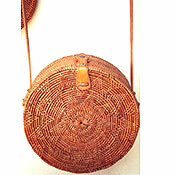 All handcrafted jewellery made in Indonesia. Made by our company CV Maya, a manufacturer and exporter of fashion accessory and costume jewellery. We produce and export our jewellery products ourselves. We're not agent or broker. Buying jewelries and accessory from our company means buying factory direct. Enjoy quality jewelry at factory price. If you're wholesaler of costume jewelery, fashion shop owner or jewellery distributor or importer looking for bali sea shell jewelry, we're the right company for you. Wood Earrings, Organic Plugs, Beads Bracelets, Sea shell Bracelets Bali Fashion Belts. Other than beads and pearl shell necklaces, we also produce other jewelry and accessories such as wooden earrings, organic plugs made of buffalo bone, buffalo horn and other natural materials such as wood or stone. Also available beaded bracelets, beads anklets. Fashion betls made of beads, sea shells and MOP shells also available. BatikSarong.Com owned by CV Maya. 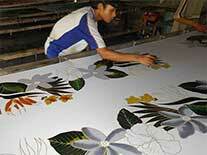 A manufacturer and exporter company for batik beach sarongs located in Indonesia. Beachwear and sarongs made of rayon fabric with batik motifs. All made in Indonesia. Good quality reasonable price, direct from the pareo factory. If you are looking for muslim sarungs from Indonesia, please use links below. Sea shell belts from Bali Indonesia. Belts made of beads combined with seashells, pearl shells, marble stones, paillets, glass beads and other natural materials from the ocean. 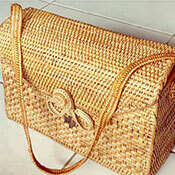 Handcrafted in Bali Island. Cheap price good quality embroidered belts. Very popular among teens, students or surf community and those people with taste of anything exotic and ethnic from Asian countries such as Indonesia, The Philippine, Thailand, India or China. Perfect for beach style or summer fashion style. Casual style belts, as seen in many fashion stores and boutiques around the world. Bali shell belts. Shells belt with braided strings cords, coconut shell, bone beads, cowry shells, seeds round blacklip mother of pearl shell buckle and other natural materials. Are you looking for factory or manufacturer company in Bali for fashion belts ? This web site contains many belts catalog made by CV Maya, the fashion accessories manufacturer company. We wholesale and export fashion belts and jewelry. Bali Pearl Shell Jewelry. Mother of Pearl Shell Earrings Accessories. Sea shell earrings and mother of pearl shell earrings. Accessories and jewelry including earrings. All made in Bali Indonesia. Earrings made of pearl shell, abalone shell, paua shell and buffalo bone. Bone earrings from Bali Indonesia. We have many bone jewellery and bone accessories. View our catalog of earrings jewelry made of MOP shells. This is mother of pearl shell taken from south sea pearl farm companies on the eastern part of Indonesia. On island of Ambon, Sumbawa and Lombok. Some of the goldlip pearl shell taken from Bali Island. Abalone shell accessory from Bali. Abalone shell earrings made in Indonesia. Beautiful abalone shell jewelry from Bali Indonesia. Abalone known also as paua or pawa in New Zealand. Fashion accessories necklaces from Bali. Sea shell pendants and resin. Handmade fashion rings from Bali Indonesia. Painted wood rings for women and men. Bali wood jewelry displays made of wood to showcase your necklaces as shop fixtures. Please browse similar catalog of sarongs ties.